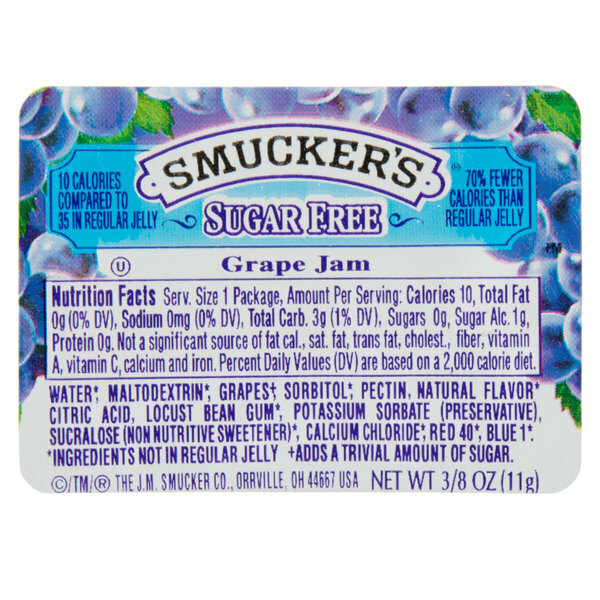 Allow your patrons to choose which flavors they prefer with this assortment of Smucker's sugar free grape, strawberry, and blackberry jam! 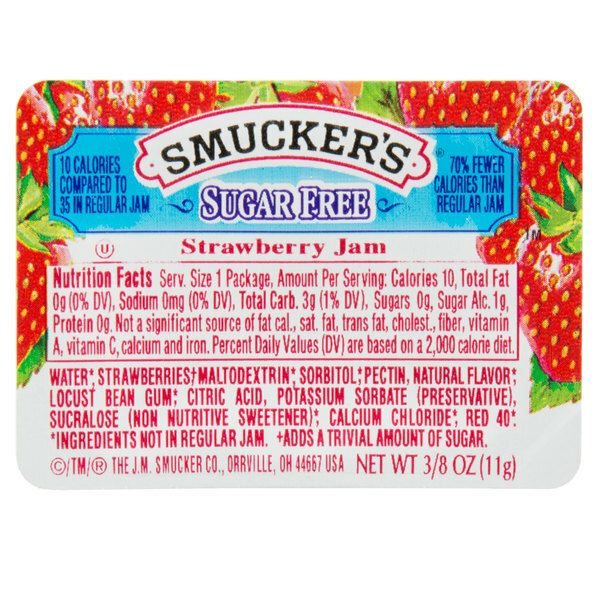 The name Smucker's is highly recognized in just about any venue, and their premium selection of jams, jellies, and marmalades uphold a tradition of full-bodied flavor, great quality, and value. Try these plastic portion cups in your restaurant, diner, school cafeteria, or convenience store. Their .375 oz. 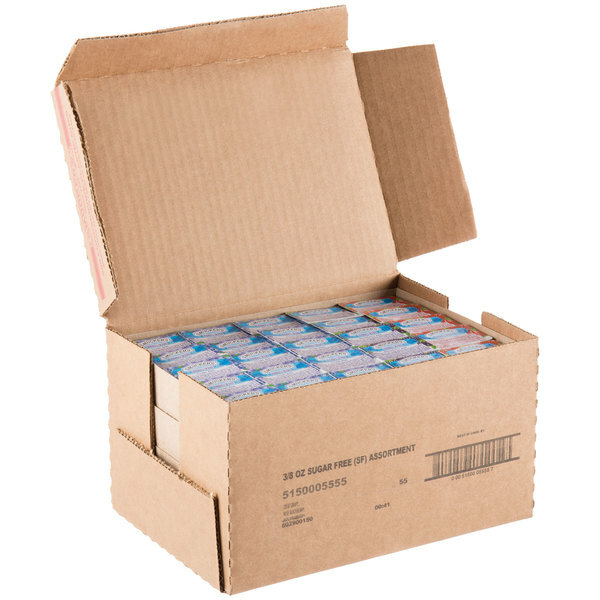 size is perfectly-portioned for a single serving! This assortment of classic flavors offers a quick and easy way to enhance menu items with the delectably sweet and subtly tart taste of wholesome fruit! It's the perfect complement to toast, biscuits, bagels, pancakes, and waffles. Rather than buying jellies and jams in bulk jars, these portion cups are easy to serve in caddies on your tabletop or hotel breakfast bar. 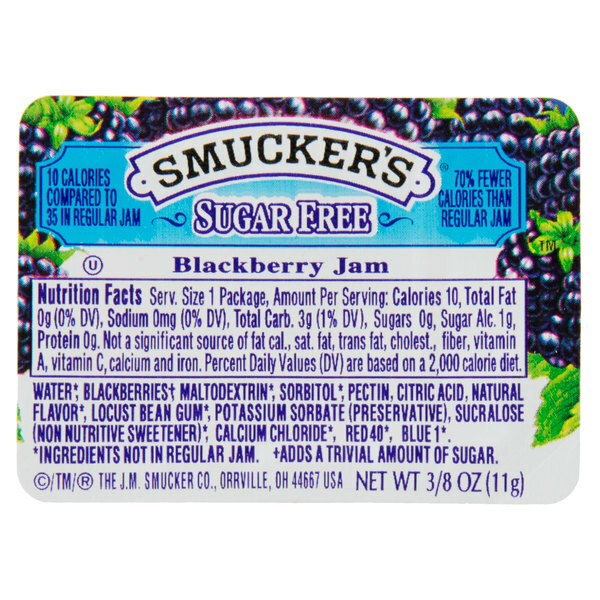 This selection of favorite sugar free flavors will have something for everyone. 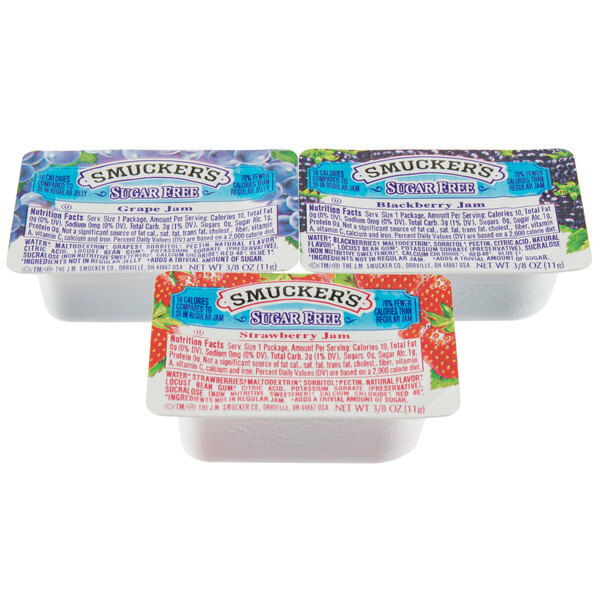 Whether your guests prefer one flavor or all three, the smooth texture and luscious berry taste of these spreads will add just the right amount of satisfying sweetness to your customers' dishes.